A dodge pic will not make anybody mad. pull the dog dish off the back and the front and send us a pic of each hub. also send a pic of the back diff and the tag on it. I can tell you a lot with that. Wow! that frame is bad. I would section in a new piece from the cab back, or find a donor frame. 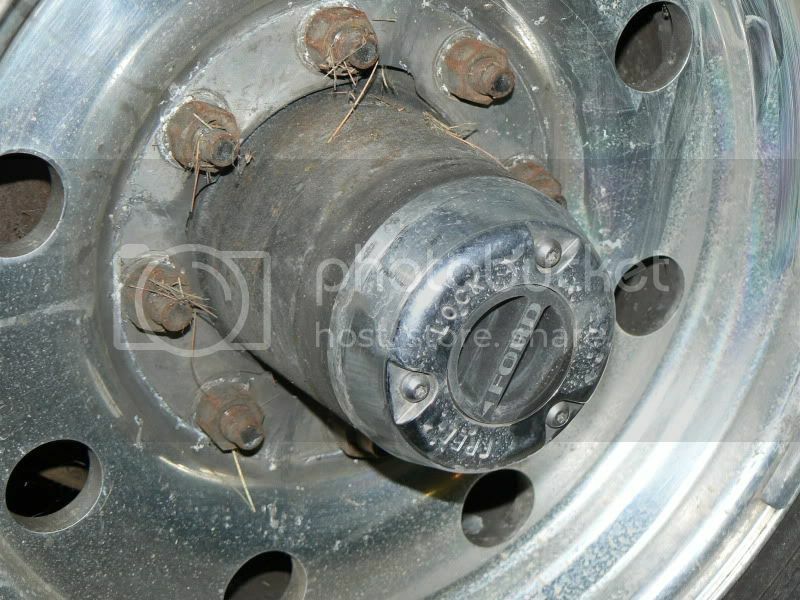 You have a D50 front axle and a Sterling 10.25 rear axle. 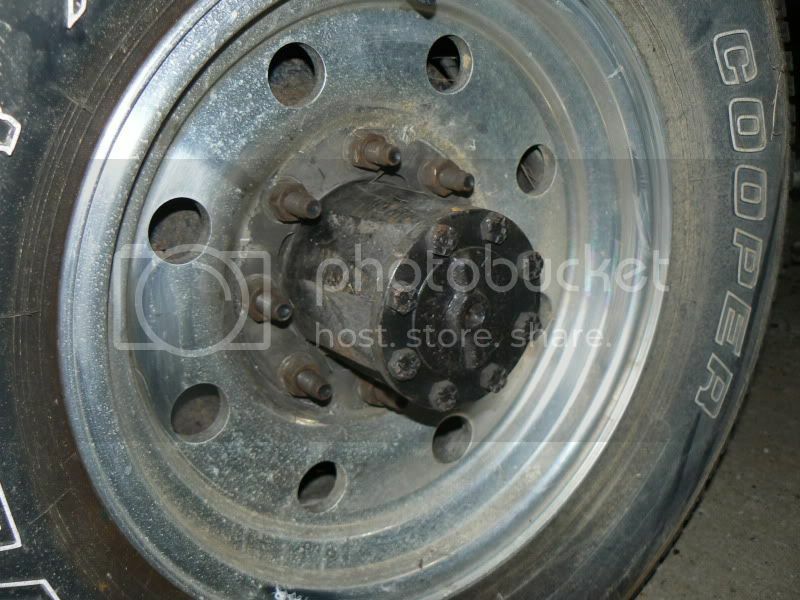 Heres some pics of the axles can you tell me what gears i have??? looks to me like a D50 in front, sterling 10.25 in back. I think that the ratio is 4.10, but it is hard to tell. 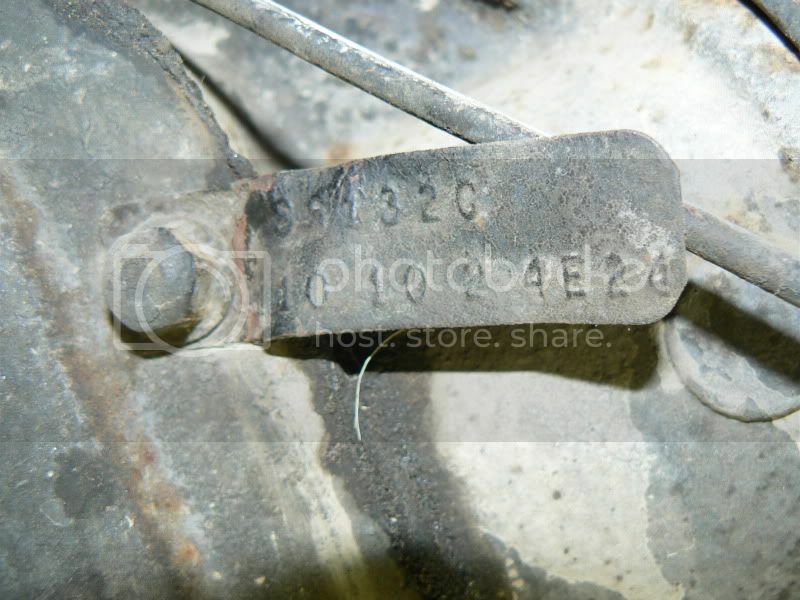 see the first 10 on the axle tag? does it say 4.10 and is there a letter before it? your truck is a HD F250. on the pic, that is a nice truck! It have the 6 speed? edit, looks like somebody beat me to it! i think i am going to just put a new section in from the cab back cause the rest of the truck seems pretty good with the exception of the transmission cross member and the cross member in the rear. i found a full frame from a 1994 with a 5.8 in it for $200 will the rear section be the same on this truck??? also i was looking at my buddies 93 f-150 at his house and without measuring it looks real close to the same hight and all. could the rear section on an f150 be the same? im going to take some measurements in the morning than heading out to the local u-pull it to go frame part shoping with my cordless saws-all thanks for all the great help you guys are great. sorry, I just do not know. I have never worked on a 1/2 ton and do not know about interchange between light duty and heavy duty. Dude, if you found a good frame for $200 I would buy that and swap everything good over (assuming it is an F250 frame). . .in order the splice the frames together you're going to have to pull the body off anyways, might as well just finish out pulling the motor and axles as well and put it all on the good frame. And do you have ANY welding experience? I'm not talking about patching body panels or out door furniture, I'm talking heavy structural welding. You can't just stick the 2 halves together, run a bead and call it done. . .I'm not even going to get into how you would do it, but have you thought about how you're going to keep the frame square? Keep it from warping at the welds? Is there ANY virgin steel you can weld to in the front? Something to keep in mind is how much you will need to grind out of both sides of the frames, especially if there is any rust. So you manage to weld it together, yeah the weld is stronger than the original parts, but where you cleaned up the steel to weld is now 30% thinner than what you had to begin with!! .....Hey Franken-Truck, even with the cold med's kik'n in, you still make sense......... Swap frames, or part it out. You cant weld to rust. p.s hot green ( no Caffeine ) tea, two teaspoons of honey and two shots of rum before bed. Repeat as needed-up till 2 am. ( After 2 am, if remedy didn't work, the next day is a sick day! ) Just what the Doctor ordered. Unless its gong to be a mud bog buggie. Then in that case weld on it till it floats. i wasent really looking to get into alot of cash i just wanted a beater to get wood and haul stuff. 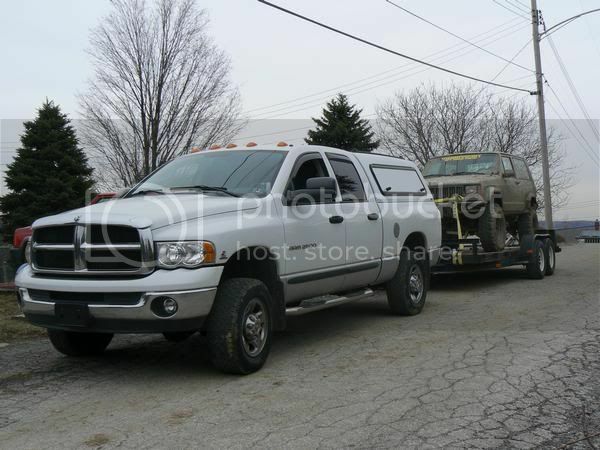 my dodge got a cap on it and just a 6' bed so i cant get much wood in there and my trailer gets to be a pain in the woods. i found an exact frame at the u-pull it junk yard today and they want $200. $40 for just the rear section i need plus 30 to burn it out. that frame was pretty good but i think if i look a lil more i can find a better one. 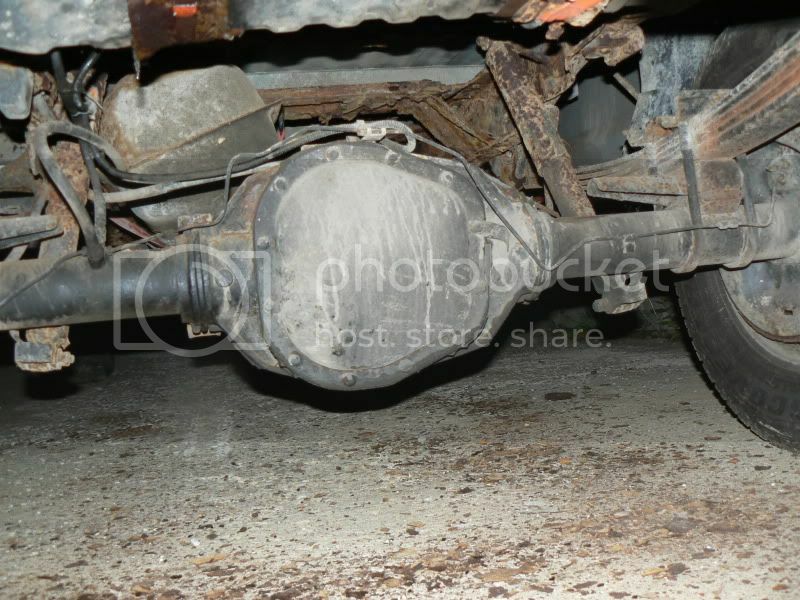 the other frame i found for 200 had a 5.8 in it and from what i am finding online at car-parts.com when i search for frames they are motor specific the 7.5 and 7.3 diesel motors go on the same frame. im still up in the air a lil, but i do think the work of a whole new frame would pay off in the end. But i know me ill be replacing every little thing and dump some cash into it. anyone do a frame swap?? what problems and thing should i replace while im in there?? im going to try and put a list together and see what ill be into. Thanks for all the help so far. i did get a power window motor two door lock cylinders and 2 keys, tail gate handle and guts ,and 2 good tailgate cables for $8.00 at the u-pull it. I know motor mounts were different, but people swap motors all the time without doing anything frame wise. . .
And for what to look for. . .basically anything that is rotten beyond salvage and replace it. I would imagine the body bolts are going to need to be cut out. . .and make sure your brake lines are all good. . .